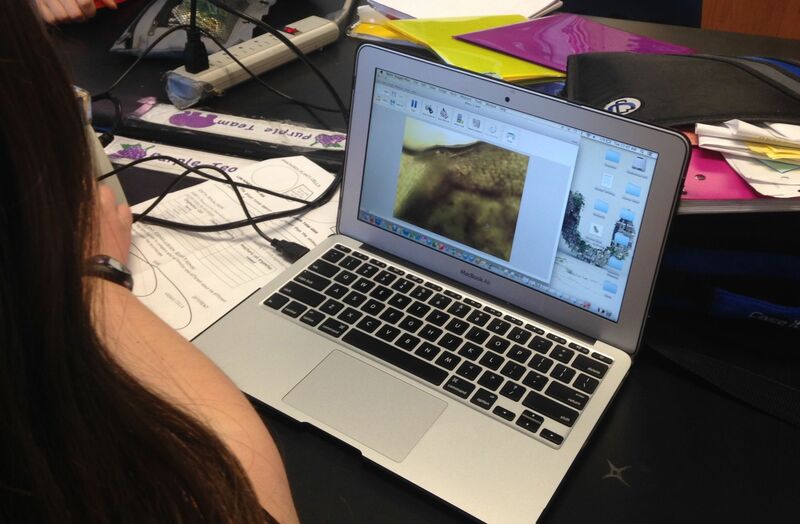 Digital microscopes and MacBooks introduce Concord 7th Graders to the microscopic world. CEF funding equipped CMS with new digital microscopes and Macbook software that together allow 7th graders to investigate the components of cells and compare plant and animal cells while learning the process of scientific inquiry. These state-of-the-art tools compliment 7th grade environmental field studies designed to provide students with an appreciation for the size and scale of life.